It’s time to look at all the new releases that came to Netflix in the United Kingdom and Ireland this week. 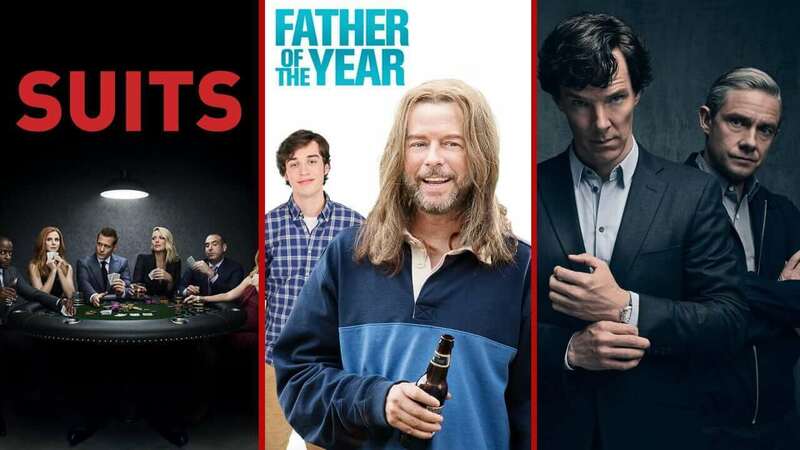 A few big Netflix Original releases standout but there are also some series updates from the BBC and weekly episodes of Suits starts this week too. Let’s start off with Suits. The series had some notable departures this season thanks to Meghan Markle stepping down thanks to her new Royal duties in the UK but nevertheless, the show goes on. The lawyer drama used to air on Dave but thankfully, Netflix bought up the rights a couple of seasons ago and are now releasing new episodes every Thursday up until the mid-season break in September. Two updates from the BBC this week just in case you don’t have access to the iPlayer. It’s famous comedy starring James Corden, Gavin and Stacey got its third season added this week as did the ever popular Sherlock starring Benedict Cumberbatch. Season 4 of Sherlock is now on Netflix in the United Kingdom. On the Netflix Original front, there are a few notable additions. If you enjoy David Spade’s unique style of humor, his new movie Father of the Year maybe for you. In the movie, he and a friend takes a bet on which father is worst. Netflix secured the exclusive rights to the new animated sitcom Final Space. If you’re a fan of Rick and Morty this should definitely be in your queue.